The slab saw is the professional concrete cutters most common tool. 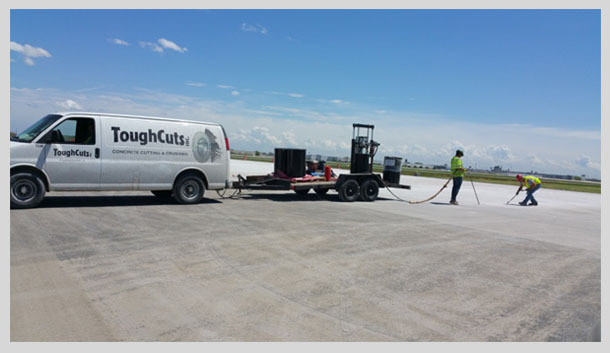 Tough Cut has various types of slab saws to accommodate all slab sawing applications. Diesel and Gas saws for everyday road, bridge and general slab sawing. Electrical and propane saws for inside work where exhaust fumes may be a hazard. Tough Cut also incorporates removal, disposal and replacement of concrete following saw cutting if it is needed. Road repairs, and saw cutting for utility construction, bridge rehabilitation and control joint sawing, are just a few examples of the versatilities of the slab saw. 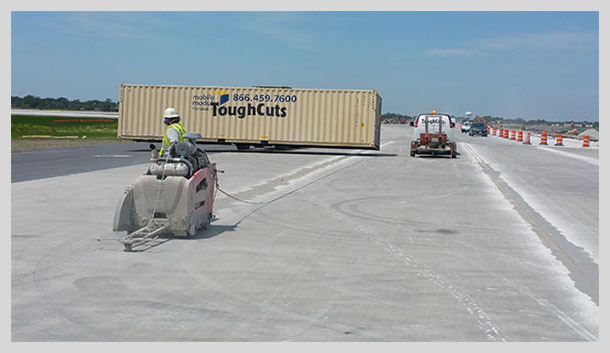 Cutting through reinforced concrete, asphalt, precast concrete, weigh ligh panels, and other structural materials. Cutting through 1/4" to 16" or thicker slabs.